Made with a Dyneema® core and a high strength outer wrap Ideal applications: Meat processing and packing, Seafood processing, Vegetable and fruit processing Provides superior dexterity and can be used as a liner under another glove. 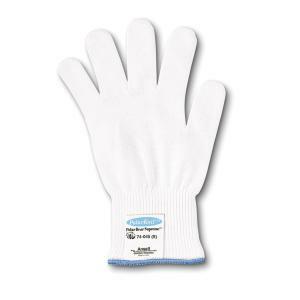 Polar Bear® 74-045 glove offers a high level of cut protection and good comfort. Light in weight, the 74-045 glove provides superior dexterity and can be used as a liner under another glove. All materials used conform to FDA indirect food regulations, making Polar Bear® 74-045 gloves an ideal glove for food preparation, meat and poultry processing. Complies with AS/NZS 2161 Safety Standards.